Cornerstones of Science founder Lee Grodzins is an inventor, an MIT professor emeritus of physics, and cofounder of the Union of Concerned Scientists. In 1999, he initiated the award-winning Cornerstones of Science program in partnership with the Curtis Memorial Library in Brunswick, Maine. Since then, Cornerstones has evolved into a nonprofit organization backed by an expert board of directors, a dedicated staff, and a growing network of more than 300 public libraries around the country. Science literacy is declining in America, and engaging the public in informal science learning, through public libraries, works to address this critical issue. Cornerstones is on a mission to partner with public libraries across America to strengthen their ability to connect patrons to important science-based community issues and interests, such as health, sustainability, astronomy, water quality and conservation, and climate change. Our nation is home to only a small handful of science centers and aquariums. However, there are roughly 9,000 public libraries with 17,000 branches. Cornerstones is working with librarians and scientists to help libraries transform themselves into the primary place for youth, adults, and families to engage in interesting and locally relevant science experiences. Cornerstones helps libraries fill this vital role by providing turnkey kits, training, and resources needed to create a scientifically literate public. Cornerstones’ products and services are designed in partnership with public libraries. Together we create places and approaches that help connect patrons and communities with STEM experiences and science providers of local interest and importance. Our current offerings include programs, training, and online resources. 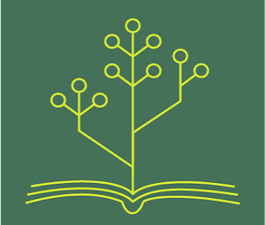 The Cornerstones Model is a comprehensive package that combines workbooks and guides with in-person and virtual training to help librarians develop the skills they need to connect their communities through science. 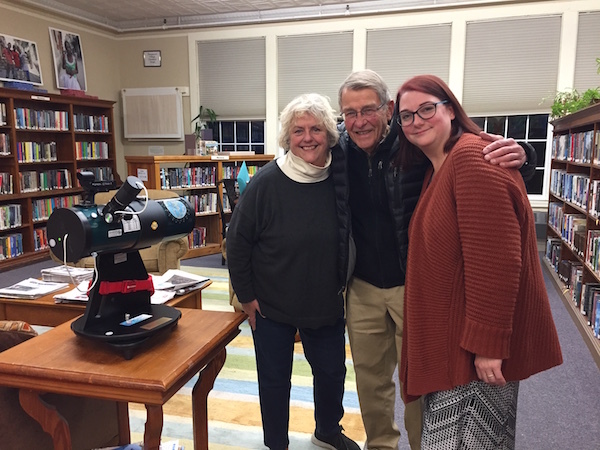 The Loanable Library Telescope Program trains librarians and local astronomer mentors to put user-friendly telescopes in the hands of children and families. More than 50,000 people have been able to borrow telescopes, just as they would borrow a book, through 300 libraries in 22 states. Online digital resources like the STEM Activity Clearinghouse provides librarians with free, vetted, engaging STEM activities and speakers appropriate for library audiences. Cornerstones is recognized as a go-to source for high-quality, turnkey science products, training, and services that increase a library’s ability to deliver engaging and sustainable science programs. Over $1 million in highly competitive federal grants awarded by NASA, the Institute of Museum and Library Services, and the National Science Foundation recognize the importance of this work. Strategic partnerships with state library agencies accelerate libraries’ adoption of Cornerstones’ products and services, and reach across the nation. Cornerstones@Berkeley, first branded “Cornerstones@” site. The public library is a science resource center and demonstration site that engages patrons and the community in science programs. This highly successful partnership has galvanized a cadre of science advocates within the Berkeley Public Library and surrounding scientific community. Please let Cornerstones know if you have a “Cornerstones story” or experience that you would like to share. Did you have a fun experience with a science trunk activity or library telescope, did you attend one of our Library Partner Summit events and have a memorable moment, or did you have a conversation about Cornerstones with Lee or board or staff member that was inspiring? We hope to hear from you and THANK YOU for all your support over these many years! The Cornerstones of Science YouTube page now has a number of STEM related how-to and other videos for librarians. The newest additions are three how-to videos on using astronomical tools for viewing the night sky as part of our work with the NASA@ My Library project. 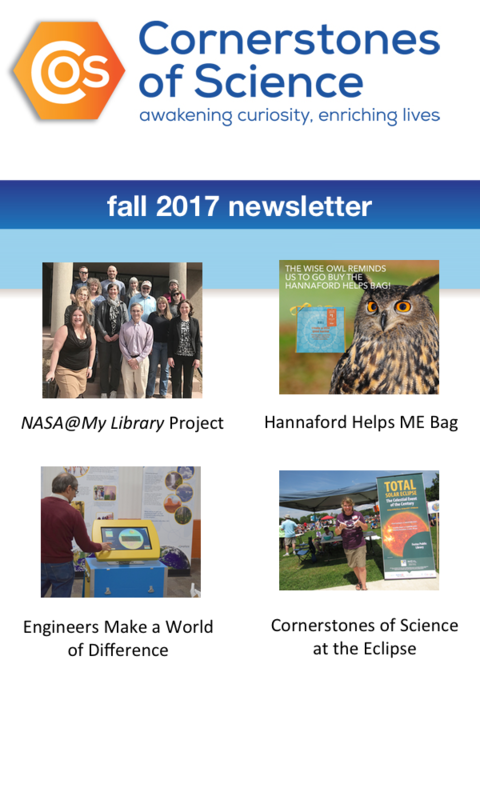 Watch short videos from seven public libraries on their successes and challenges on becoming a strong STEM library as part of a recent Institute of Museum and Library Services (IMLS) grant with the Maine State Library and Cornerstones of Science. Short 15 min. webinars to understand what astronomical activity is happening in June, July, and August. Presented by Cornerstones of Science and Southern Maine Astronomers. If you are interested in learning more about and doing citizen science then you are in luck. Opportunities abound! Here are just a few to check out. The Curtis Memorial Library spearheads this festival! Cynthia Randall, Executive Director of Cornerstones co-presenters at the conference. Do Children Make Good Citizen Scientists? See the “Science We Can Do Together” box on the right side of the page. As a subset of the IMLS grant along with additional funds, Cornerstones and the Berkeley Public Library in Berkeley, CA were able to understand the library’s STEM capacity by seeking input from the library staff, board, and community. They used that feedback and made a plan of action that incorporates STEM into the library in a way that is community centered, engages all age groups, and is part of everyday operations. Check out what they are doing! The CoS Library Telescope program started in 2012, so there are quite a few telescopes out there now. We have had very few problems with them over the years, but we want to make sure you check the battery/batteries in the telescope Red-dot EZ Finder. It is a good habit to check the batteries periodically for both function and safety. The Red-dot EZ Finder is the LED sighting scope located on the optical tube. 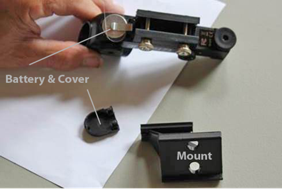 There is no need to remove the Finder from the telescope to change the batteries. Telescopes with a lithium battery (small button battery) (see top picture): The battery compartment is located on the underside of the EZ Finder. Pull down on the tab that shows where the battery is located. NOTICE how the battery is currently situated in the compartment so if you have to change the battery then you will see how it is seated. 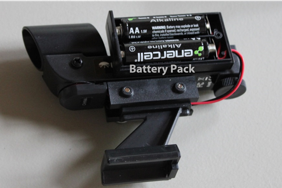 Telescopes with AA battery pack (see bottom picture): The battery pack is located on the side of the EZ Finder and opened with a small Philips screwdriver. If you find a little bit of corrosion in the black battery pack, clean it out, and replace the batteries. Some corrosion is common when tools have batteries. Check your Owner’s manual for more information or the Orion website at www.telescope.com for an instructional video on How to Replace the EZ Finder Battery. Is your state interested in STEM and space science? Does your state library want to be part of a NASA yearlong project? The NASA@ My Library project currently has four State Libraries (MI, ND SC, and WA) participating as pilots and up to eleven more will be chosen for a total of 15 SLAs. As part of this project, State Libraries receive two space science kits that are primed to circulate out to public libraries. Participation includes attending monthly webinars, helping connect with state space science resources, and circulating the kits. The project begins in January 2019 ends in December 2019. The application process opened on August 6th and calls for a Letter of Interest (LOI) e-submission. Closing date is September 21st and applicants chosen by October 15. We anticipate that SLAs will be under contract by mid-December. To learn more about this opportunity please visit the COSLA web site or contact David.Keeley@cornerstonesofscience.org. 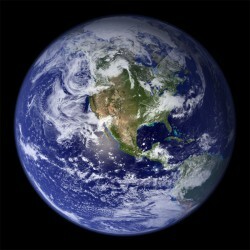 Earth Day is on Sunday April 22. Need some ideas for Earth Day activities? The STEM Activity Clearinghouse is a great resource as is Star_Net. The Collaborative Summer Library Program’s Summer Reading theme is Libraries Rock! Listen to sounds of our Earth and beyond through Soundcloud.com. Find the sounds that make you rock out to science!